There was a warm period last night with rain to summit level followed by a refreeze giving an icy crust to the snowpack. 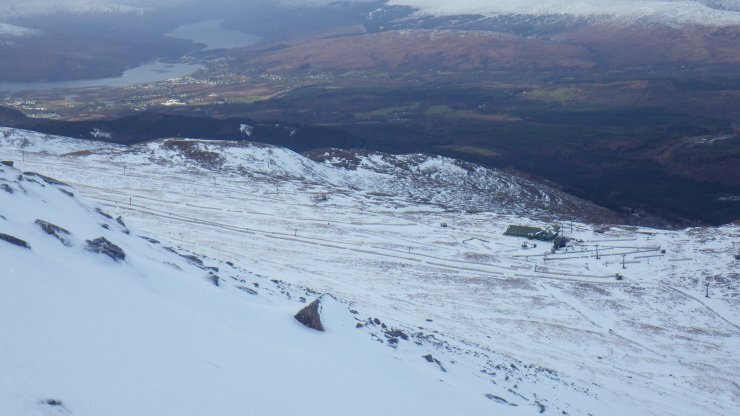 This feels hard and icy when on skis but generally isn’t strong enough to support someone on foot making walking hard work. There has been some fresh snow since the temperature dropped but amounts are fairly small, however there is more snow in the forecast for tonight. 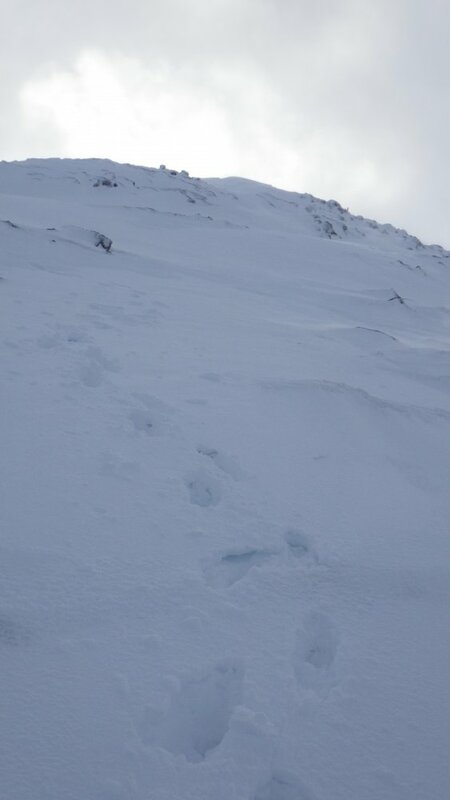 Footprints in the breakable crust on Aonach an Nid. The lower part of Nevis Range not looking quite as white as it did but still enough snow to get around on skis. 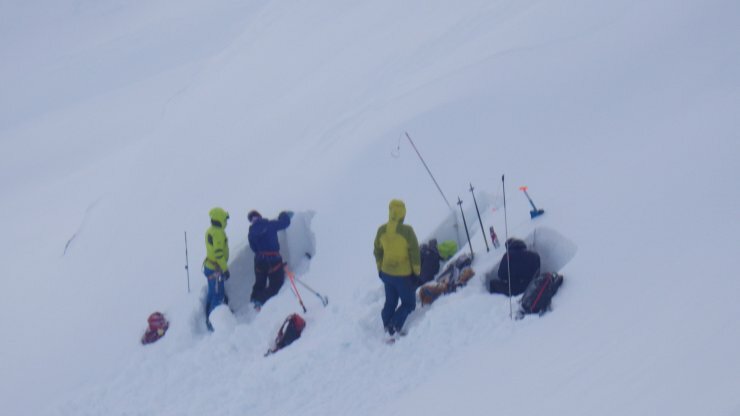 Trainee avalanche forecasters looking at the snowpack.